Mustard Salmon and a Giveaway! Lucky for me I have this great mailman who brings me a bunch of surprise cookbooks to my doorstep every couple of weeks or so. It’s like a cookbook gun is being set up somewhere near my doorstep and firing cookbooks in my general direction. I suppose if that was the case I’ll start wearing eye protection (or groin protection) when I start going out. Lucky for me this book didn’t hit me in the face or in the groin. In fact it did the quite opposite, it didn’t really “hit me” but it has made a bunch of really surprisingly delicious meals for me out of simple ingredients. 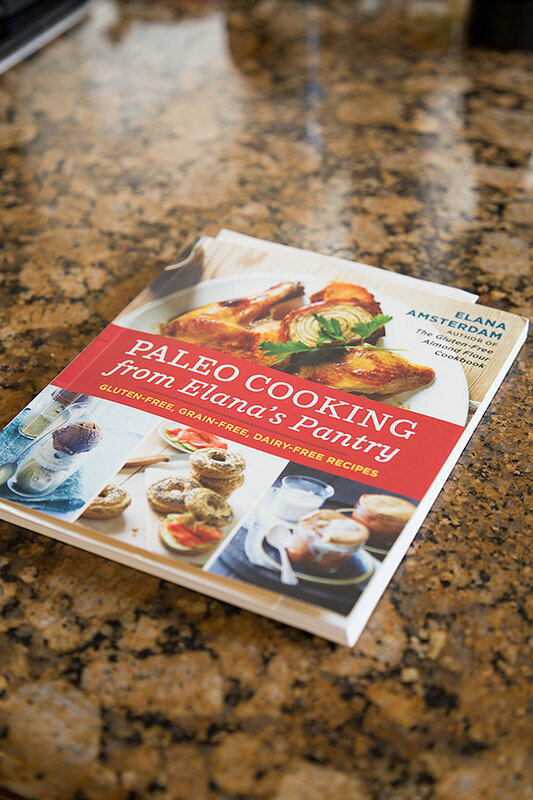 In Elanas Pantry’s newest book Paleo Cooking she has brought forth a lot of simplistic recipes that seem to be passed up by a lot of people including myself. I like to get a little extravagant with my recipes sometime but since I started cooking from this book I have really been reminded the importance of simplicity in a recipe . When I say simple, I mean really incredibly simple when it comes to this recipe. 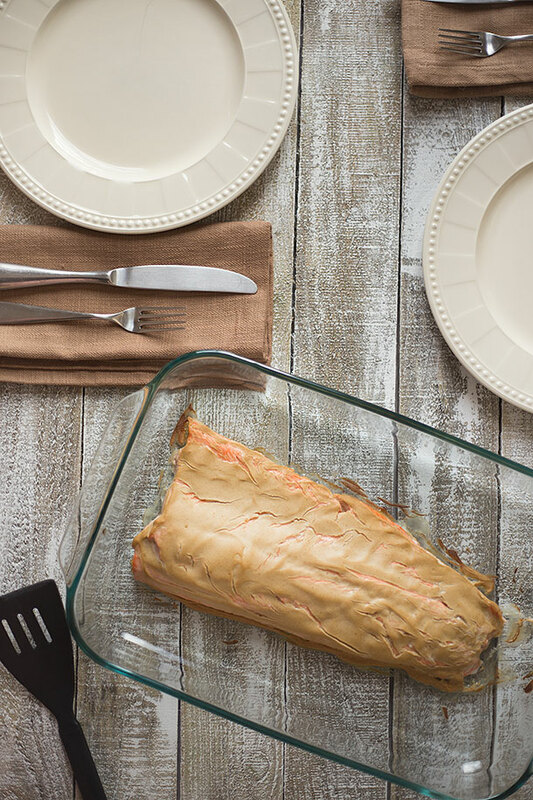 All it requires to make is a beautiful slab of salmon and dijon mustard. If you have those two ingredients then you are good to go. I think it’s rare that you can grab two things and make a meal out of it unless you really let yourself unwind and think about it. 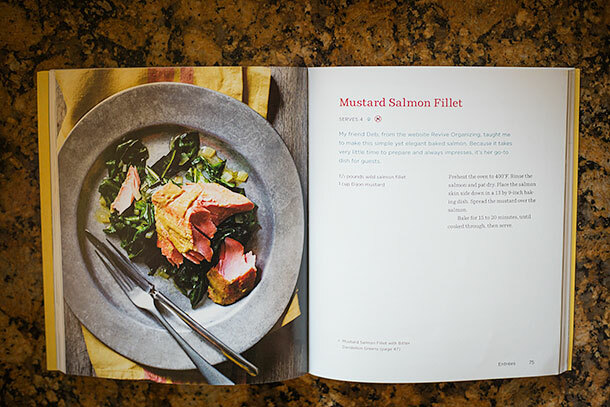 This isn’t the only easy recipe out of this book but it of course popped to me because I’m a bit of a salmon freak. Lately there has been a lot of fresh wild caught salmon nearby me which is super rare. It’s always wild caught but it’s frozen and we all know once it’s been frozen for a bit it’s never the same. And when I say the salmon lately has been fresh I mean ridiculously fresh. You can literally observe the omege 3s oozing out of the pink soft flesh of the fish. Maybe not a visualization for everybody but hey at least it’s super fresh. So why not let the beauty of the the fresh salmon shine with a simple recipe? Not to mention it makes a week night a breeze when your strapped for time and are about to gnaw the arm of a chair off. Preheat and oven to 400 degrees. Rinse the salmon and pat dry. Place the salmon skin side down in a 13 by 9 inch baking dish. Spread the mustard over the salmon and bake for 15 minutes. My favorite cookbook (so far) is Primal Cravings by Megan Mccullough Keatley & Brandon Keatley. Elanas Pantry cookbook looks amazing – hope I win! Primal Cravings and Gather right now… Too many to choose from 😉 Happy 4th! Please keep the salmon recipes coming! I tend to get salmon because it’s more affordable than a lot of other options, but I’m getting kind of bored, so this is great! Thanks! Oh, and as far as my favorite cookbook, I don’t really have a favorite (there are so many great ones!) but the one I’m getting the most use out of, at least right now, is Practical Paleo. Love the wealth of information in addition to recipes that aren’t too fancy, expensive to make. This is a book I would really love to have! It is on my Amazon wishlist. Nourishing Meals! Thank you for the giveaway! Primal Cravings is a great book. Your photography is amazing Josh! So is your blog. Love what you do. I love Gather! Great giveaway Josh! Well Fed. Well said, eh? I actually don’t have any primal/paleo cookbooks. This would be my first. There are a bunch on my Christmas wish list and I can only hope. I love Elana’s cooking and hers was the first grain-free site I visited. I met with success every time and was never disappointed. I would greatly enjoy creating meals that are simple as they never go out of style and could be enhanced for company fare. To be perfectly honest, I have NO paleo cookbooks whatsoever at this point. I’m brand spanking new to this concept and saw one of your posts from a friend’s Facebook link. I’m thinking that, should I be the winner of this cookbook, I will have a simple stepping stone to get started on this path! Thanks for the chance to win! I too am loving the cookbook primal cravings. Everything i make looks just like pictures and tastes soooo good. 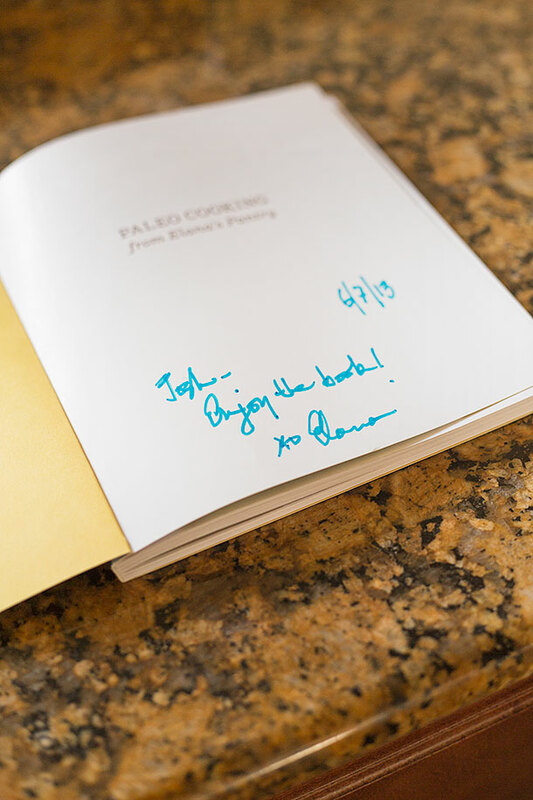 my favorite book is practical paleo and gather =) tku for the give away! Current favorite cookbook is Well Fed! Wow, This was delicious. I just finished eating it! My favorite cookbook is Practical Paleoby Diane SanFillippo! Would love this book! Have Practical Paleo but looking for some new recipes! Love wild salmon but we usually only have it frozen. I bet it’s great fresh! Totally had that today for dinner (with asparagus) – needless to say, also wouldn’t mind winning that book. My current favorite cookbooks are “Beyond Bacon”, my stand-by constant-go to is “Practical Paleo”, and “Gather”. SO many other good one too. We love Eating Like A Dinasour! It is great if you have kids or picky eaters in the house! My favorite cookbook is Well Fed. That was delicious and so simple! I served it with roasted asparagus because that cooked at the same temp in a similar amount of time. Thanks! Everyday Paleo is my favorite and is also only Paleo cookbook. Pre Paleo My favorite is Gluten Free Baking Classics by Annalise G. Roberts. Not really anything healthy but a great stat when going gluten free. Love your recipes and the photos. Do you take them yourself? Is it too late to join the giveaway? That book looks good. I love simple recipes. I just stumbled accross your site and had to say I make this all the time!! my version, however has an extra ingredient to kick it up a notch: dill weed; I use dry and am not shy about completely covering all of the dijon. Try it!